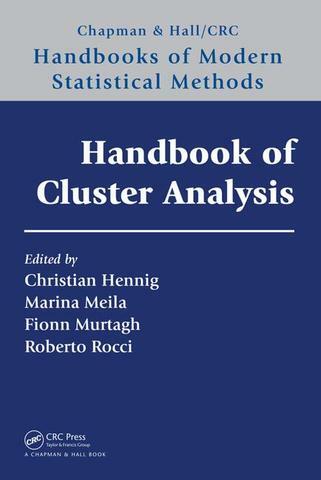 Handbook of Cluster Analysis provides a comprehensive and unified account of the main research developments in cluster analysis. Written by active, distinguished researchers in this area, the book helps readers make informed choices of the most suitable clustering approach for their problem and make better use of existing cluster analysis tools. The book is organized according to the traditional core approaches to cluster analysis, from the origins to recent developments. After an overview of approaches and a quick journey through the history of cluster analysis, the book focuses on the four major approaches to cluster analysis. These approaches include methods for optimizing an objective function that describes how well data is grouped around centroids, dissimilarity-based methods, mixture models and partitioning models, and clustering methods inspired by nonparametric density estimation. The book also describes additional approaches to cluster analysis, including constrained and semi-supervised clustering, and explores other relevant issues, such as evaluating the quality of a cluster. This handbook is accessible to readers from various disciplines, reflecting the interdisciplinary nature of cluster analysis. 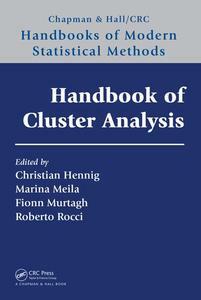 For those already experienced with cluster analysis, the book offers a broad and structured overview. For newcomers to the field, it presents an introduction to key issues. For researchers who are temporarily or marginally involved with cluster analysis problems, the book gives enough algorithmic and practical details to facilitate working knowledge of specific clustering areas.